Chilling out at the beach bar, or at home in your garden? This is a nice top to do it in. 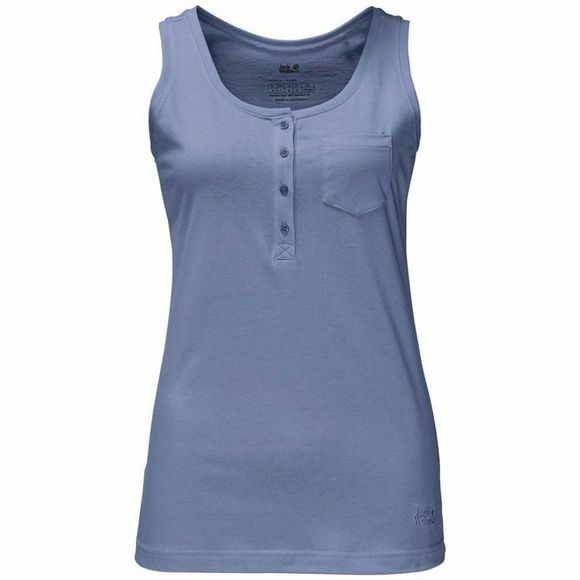 The Women's Essential Top has a neat button placket, a small chest pocket and is made of a functional polycotton fabric. It dries fast, is hard-wearing in spite of the soft texture, and the organic cotton gives it a pleasant, natural feel.